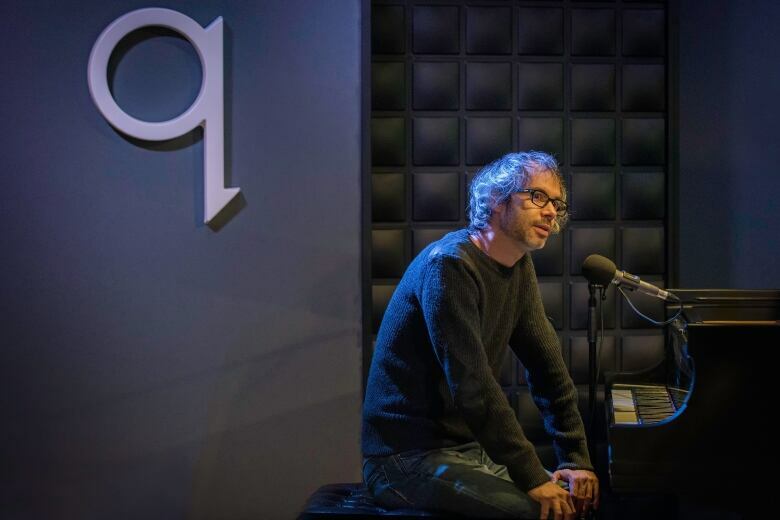 Pianist James Rhodes finally comes into the q studio to see and play Glenn Gould's practice piano. 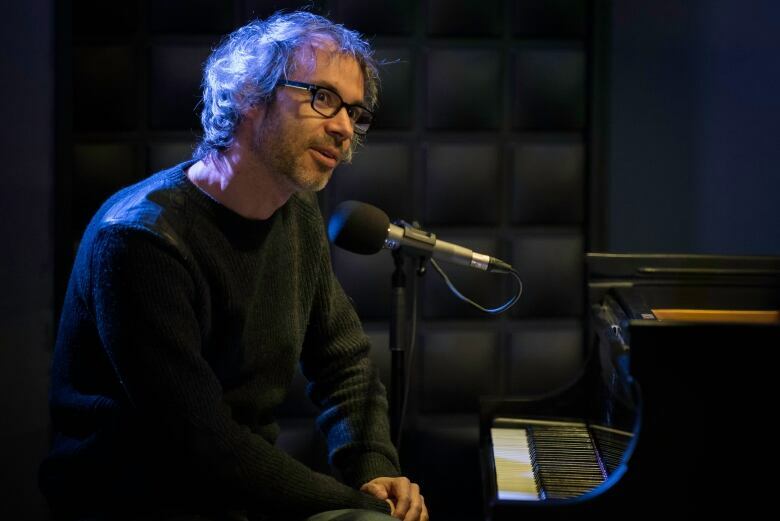 Back in February, we spoke to pianist James Rhodes about his memoir, Instrumental: A Memoir of Madness, Medication, and Music. 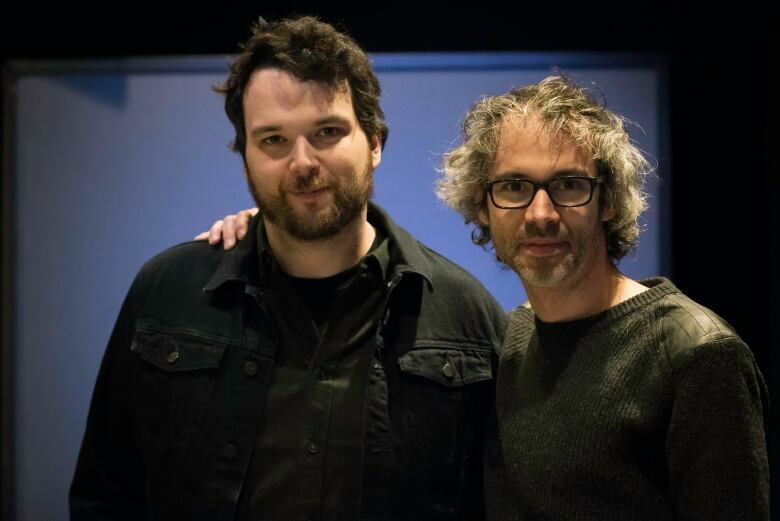 Near the end of the interview, Tom Power revealed to Rhodes, an avid fan of Canadian pianist Glenn Gould, that we have Gould's practice piano in our studio. Rhodes excitedly asked to come in and see it, adding that he'd act like "Tigger on crack" in the presence of this instrument. Well, that day finally arrived for Rhodes. 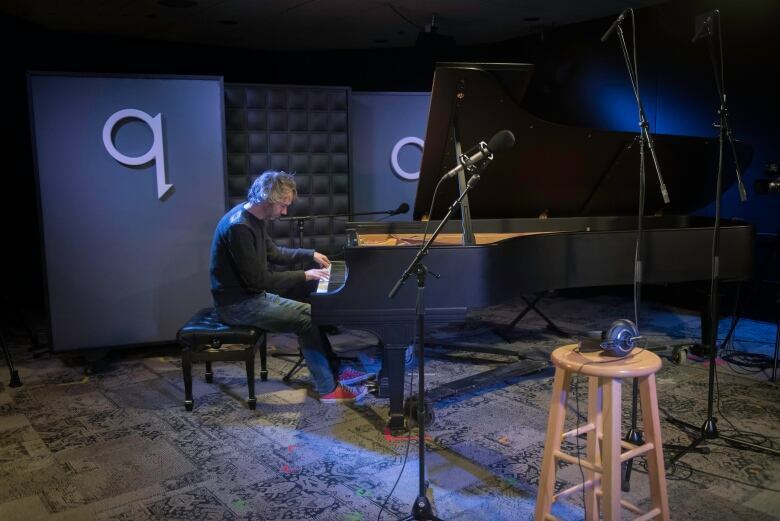 Yesterday, he stopped by the q studio to see Gould's practice piano in person. "The whole thing is very surreal," Rhodes said, as he played it for the first time. "Gould, for me, was literally my childhood hero. 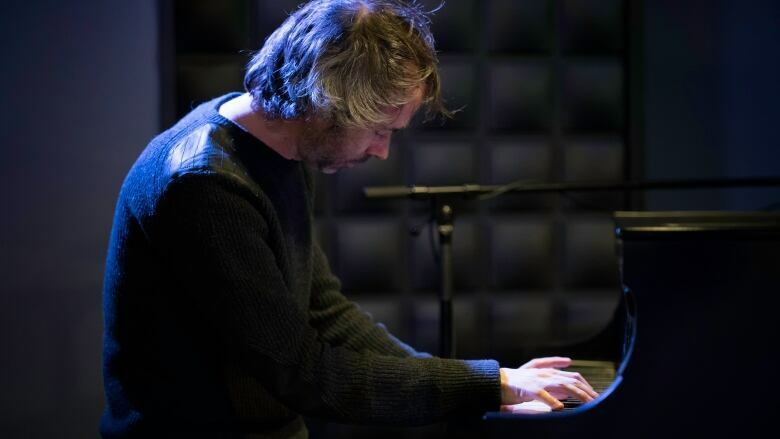 He was such an iconoclast; he did things with the piano that no one else had done before." Hear more from Rhodes' interview today on the show, and see more photos from Rhodes' time in the q studios below.